Many people are sceptical of buying Kylie Jenner lip kits from different websites besides Kylie Cosmetics because they're not sure if it's the 'real deal'. To help you spot the fakes and save money I have written the differences between the real Kylie Jenner lip kits and the fake. I have One fake lip kit which is Kourt K and a real one which is Koko K (my favourite). First thing to notice is that the text on the fake lip kit is coming off and has white spots on the Kylie sign, whereas the real one has no white spots. Both the names of the products are is slightly different fonts and Kourt K is more of a lighter white whereas Koko K is more of a yellow toned white. As seen in the image above the font is different especially the U in Kourt, it appears to be thinner and not in a bold font compared to all the other letters. Kylie Cosmetics have added more information on to the back of the packaging which is a clear difference when compared to the fake lip kit. The fake lip kit box is also a bit smaller than the real one. All of the information on the back of the fake one is in a darker font and seems to be more bold. As you can see the real one is wider and shorter, although the shortness could be due to me sharpening the liner, so take that into consideration. Although the lid of the liner is shorter and wider. The colour of the real one is a lighter black and seems to have more of a matte finish. There are two things to notice from this image is that the number and letter code on both are completely different fonts, the A on the real one only have three straight lines where as on the fake liner the A has five straight lines. The other difference is that the colour caps (I don't know what to call them)are different sizes, the fake one is at least a centimetre longer. The font of the words 'lip liner' and 'crayon à lèvres' are different on both liners. The lid on both liners are definitely different, the real one has a flat surface and the fake has a dipped surface or if you like to call it 'concave'. At the end of the liners Kylie's doesn't have one of those little dips in the middle of the liner, and the liner looks significantly bigger than the fake. 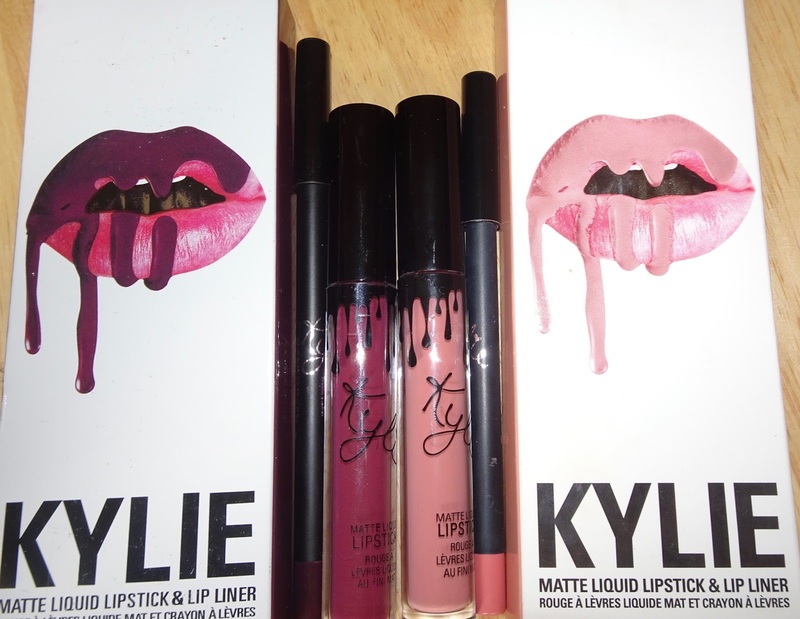 Moving onto the liquid matte lipsticks themselves, on the bottom of the lipsticks the sticker on Kylie's is much better placed in terms of the sticker is centre and it actually fits perfectly on the bottom of it, whereas on the fake one, the sticker is smaller and is badly placed on the bottom of the lipstick. The writing on the sticker of the fake one is a lot smaller and the writing on the real one seems to be in bold unlike the fake one. They are both the same size so although that isn't a difference, I am just letting you know that you really do have to look at what the product says and its details. The text underneath where it says Lipstick the writing on the fake one is coming off or is less opaque, although I have been using the Koko K a lot more than the Kourt K and there is no rubbing off of text on Koko K.
The biggest difference which you should look for is the black drips on the liquid lipstick, on most fake Kylie liquid lipsticks the two drips directly on top of where the Kylie logo is, is in a completely different position. To completely show you the difference of product I have done swatches of both the lipsticks and liners. The image above is when both products are starting to dry, theres seems to be no patchiness. You can see that Kourt K has completely dried and is quite patchy, Koko K is not completely dry but is not patchy at all. Both liquid lipsticks are different formulas. The lip liners are quite similar in consistency although I think Koko K is more pigmented because with Kourt K I had to go over it a couple of times. As you can see I am showing you how much the liquid lipsticks smudge, with Kourt K I did apply force when I was trying to wipe it off, I did the same to Koko K but with a lot more force to get a similar effect of what Kourt K did. Koko K definitely is very hard to move or smudge. And lastly smudging the liners, Kourt K definitely looses pigmentation compared to Koko K although it could just be because of how different the colours are. But Kourt K definitely moved further than Koko K.
These are some added images both of a real Kylie lipstick as I no longer have a comparison fake liquid lipstick. The top of the cap is a convex shape which is completely smooth and glossy. I hope this gave you some tips on how to spot a fake Kylie Jenner lip kit from a real one and hopefully save you some money. One other difference is the scent of both the lipsticks, Kylie's definitely has more of a candy smell whereas the fake lipstick doesn't have a very strong or good smell although it isn't a bad smell it shouldn't be such a bother because Kylie's lipstick scent goes away once the lipstick dries. Let me know if I missed anything that is a clear difference between the two in the comments bellow! 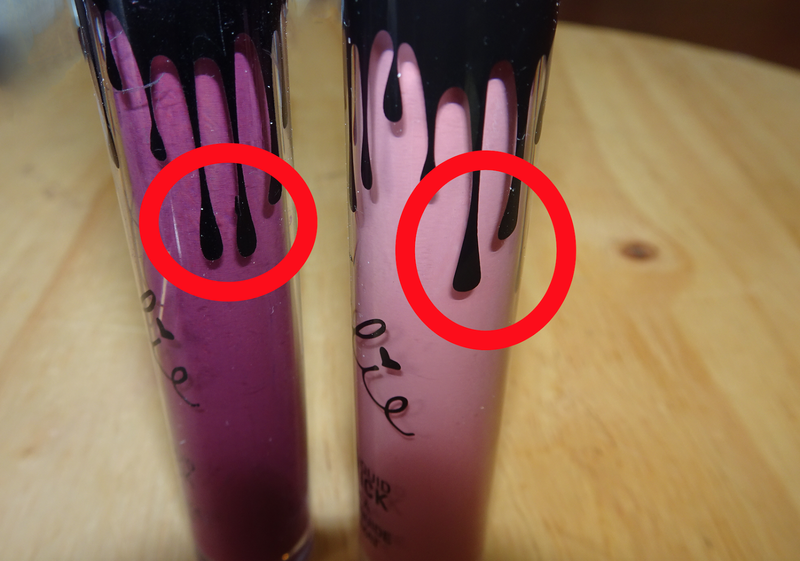 I know this post is from two years ago, but I might have just unknowingly bought a fake Koko K, and I'm looking for info... Do you have a pic comparing the very top of the caps on the liquid lips? The one I have is a little bit domed at the top, and I can't find a good comparison photo anywhere of real vs fake on that. Thank you!